The Y21 smart watch was designed from the ground up with one concept in mind: simple communication between children and their guardians. It functions as a mobile phone allowing children to call the preconfigured set of numbers. 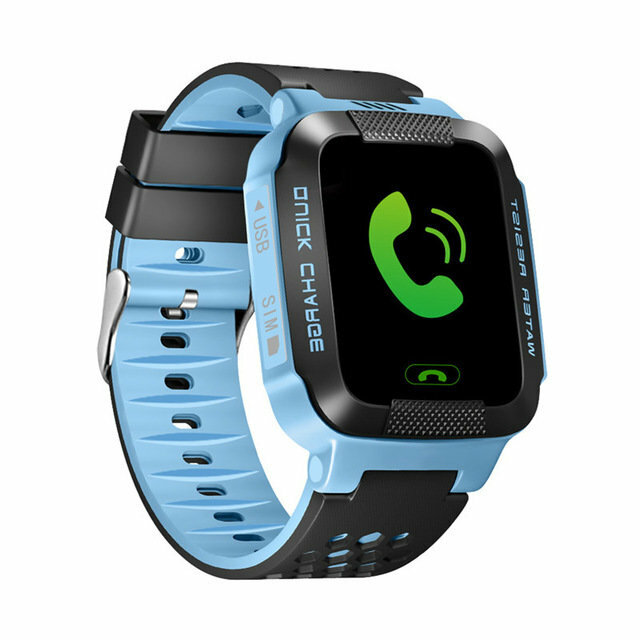 More than just a watch, it\'s the Y21 smart watch telephone. The Y21 Smart Watch supports Micro SIM card so children can use independently. 10 phone numbers are allowed to call the watch. Kids are able to call the numbers set before while parents can do so. Voice chatting is also available. For example, a mom can ring the watch to say that dinner is ready or it\'s time to go home. The model also comes with call firewall. Only preconfigured numbers are allowed to call, no need to worry about strangers\' harassment. This item possesses SOS emergency function. In case of emergency, children are capable of dialing the emergency number for help by pressing the " SOS " button to ensure that parents are given early warning. Y21 has three positioning modes, which means triple safety for kids. It will automatically switch the location way ( GPS and LBS ) according to the environment. Parents can achieve kid\'s all day real-time location tracing as well as check their position at anytime anywhere via SMS, website, iOS or Android App. Adopted advanced technology, Y21 saves more power during working and extends its battery life. What\'s more, it also features pedometer function, recording how many steps children took, which is practical for motivating their exercise passion.